Tax season can be a problem on the majority of folks who might not have the patience and also proper skill to cope with the legal obligation. Yes, as a citizen of your country, you’re obligated to file for your taxes. The obligation becomes far more challenging if you happen to be filing for your company. The forms, the computations, as well as the exemptions can overwhelm you. This is exactly why you’ll need a professional who is able to handle all of the paperwork and knows accomplishing this completely. Tax season can be a problem on the majority of home business entrepreneurs who might not have the patience and also proper skills to cope with the legal obligation. Filing taxes is a tedious, if not painful process, especially if you happen to be filing for your business. The forms, the computations, as well as the exemptions can overwhelm you. This is exactly why you’ll need a professional such as an accountant who is able to handle all of the paperwork and knows accomplishing this completely. Filing your taxes is just one of the ways an accountant can help your small business. An accountant can help you remove yourself from the day to day job to help you focus on the big picture. It’s so easy to get caught up with the day to day running of the business. Like many small business entrepreneurs, you may be a DIY-ers, learning and doing different aspects of the business by yourself. You wear many hats, including doing the work of an accountant. However, did you really start a business so you can play being an accountant? I don’t think so. If you want to focus on running your business, instead of spending time matching receipts or reconciling your financial books. If you are too busy with invoicing and going after non-paying clients. If you need help maintaining your books and creating financial statements. If you are consistently late in filing your tax returns. If you need strategic advice on your financial situation in order to save more money and grow your business. Go for a consultation with your prospective accountant in their firm. You would like your accountant to speak well and can present you with sensible answers to your questions regarding business or taxation planning, asset protection, payroll tax, products or services tax, and any other taxation service you want to know about. This will likely tell you the accountant’s standard of expertise. It would be ideal to settle on an accountant who can explain the tax laws along with the legal jargon as quickly as possible. If you’re more confused than in the past about taxation, then clearly that accountant isn’t the correct one on your business. Another key aspect to take into consideration on your accountant is his capability to provide strategic financial and taxation planning that could actually help you save money. For example, think tax minimization. An accountant who has sufficient knowledge and experience in this subject will be able to allow you to fulfill your obligation with the government while still helping you save bundles. Some experts actually even suggest asking your prospective accountant about deductions and other strategies. 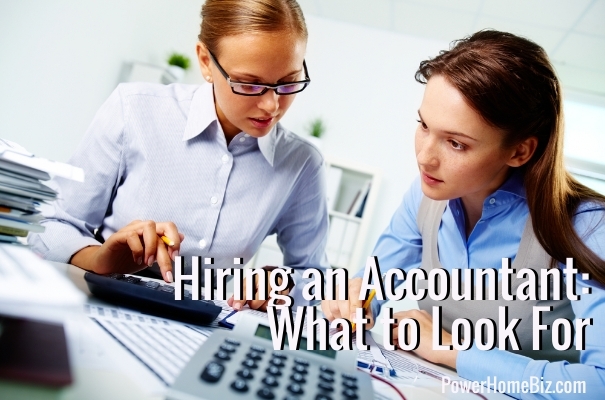 If their answers are too conservative, you might want to check out other accounting firms. Before zeroing in an accountant to help you in your business, you need to get a feel whether he or she can fulfill the unique needs of your business. The prospective accountant must understand your business, and better yet, has previous experience of working with the clients in your industry. Finally, your last consideration may be your accountant’s fees. Can you afford him or her? Can your business make use of his expertise? Evaluate their fees structure, on what basis they are charging, and whether they will charge hourly/monthly/annually or project-wise. Hiring an accountant can be an added expense for your business. However, nothing beats experience, credentials and expertise from a real professional. So start choosing your accountant today and begin saving money and earning more.